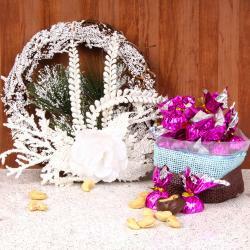 Product Consist : Christmas Red Floral Wreath along with Pair of Reindeer and Almond stuffed in Home made Chocolates in a Gift Box (Weight : 200 Gms ). 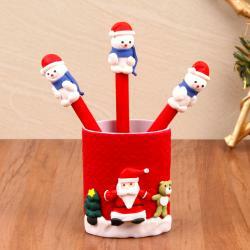 Giftacrossindia brings exclusive gift hamper that is specially designed for festive season of Christmas. This hamper include the Christmas decorative wreath and Pair of Reindeer to elite your love one home Christmas decorations. 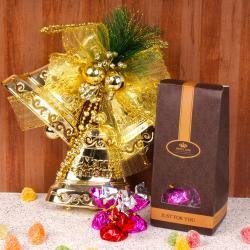 Let your loved ones enjoy the bites of sweetness as you surprise them with these delicious almond homemade, this chocolate is comes within special box. So grab this best Christmas gift. 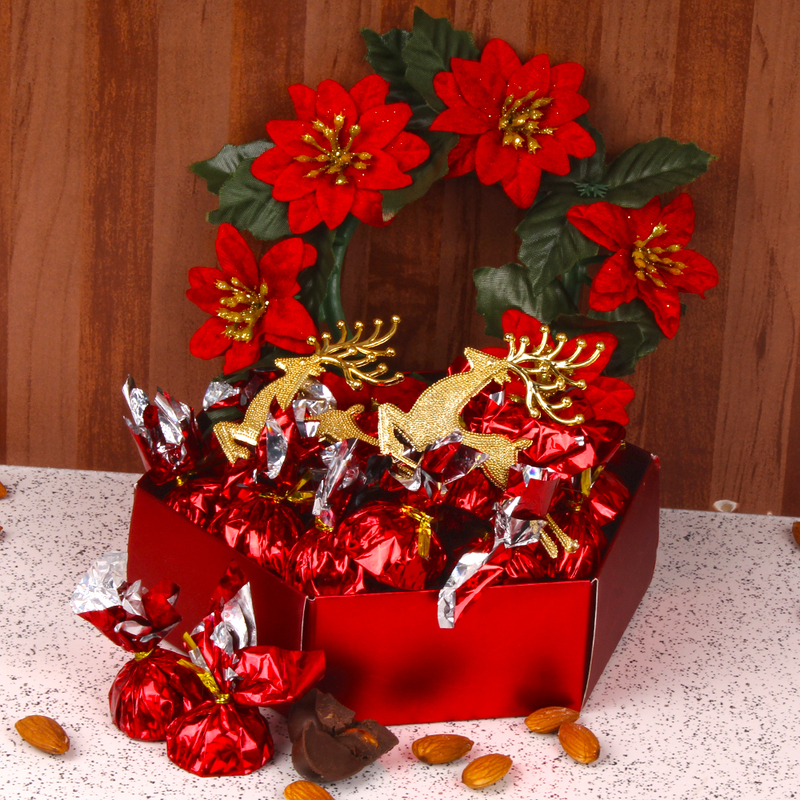 Product Consist : Christmas Red Floral Wreath along with Pair of Reindeer and Almond stuffed in Home made Chocolates in a Gift Box (Weight : 200 Gms ).